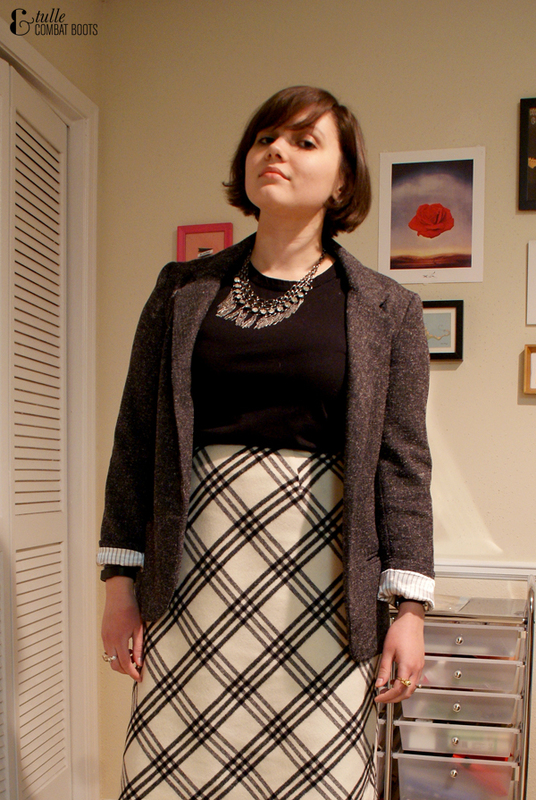 Tulle & Combat Boots: tweed + stripes. 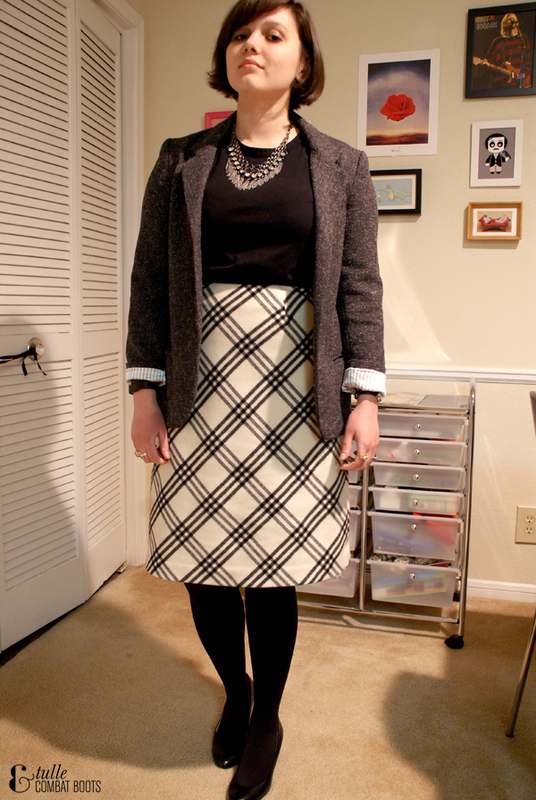 This is one of my favorite outfits (particularly for work) that I've worn lately. 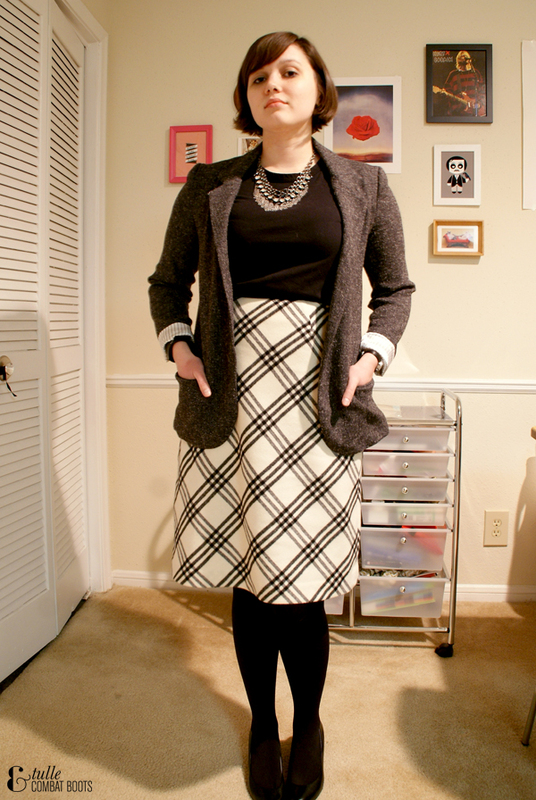 I found this skirt on my last thrifting trip and fell in love—it's high waisted but still a good length, wool, and lined (which is important for me because I'm slightly allergic to wool), and absolutely perfect for work (only downside is it's dry clean only). This was one of those outfits that just came together really easily. The only thing I would've changed is the wedges, because they're apparently almost a half size too large which made walking around in them a bit uncomfortable. Oh well.